These free online resources feature e-books, e-audiobooks, and storybook videos that are perfect for young readers. 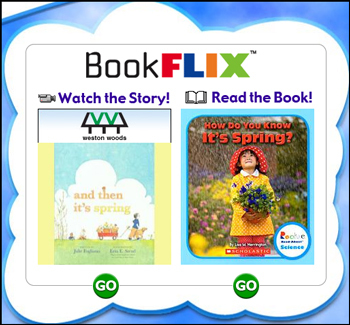 Bookflix — Strengthen reading skills and introduce young learners to real world concepts. The site features themes, pairing online storybook videos and nonfiction e-books on the same topic, along with lesson plans and activities. You need a Bucks County library card to use this resource. Axis 360 — Read and listen to downloadable e-books and e-audiobooks. Browse fiction and nonfiction books. You need a Bucks County library card to use this resource. Hoopla — Read and listen to downloadable e-books (fiction and nonfiction) and e-audiobooks. You need a Bucks County library card to use this resource. OverDrive — Read and listen to downloadable e-books and e-audiobooks. You need a Bucks County library card to use this resource. Storyline Online — Stream videos featuring well-known actors reading children’s storybooks aloud. Storynory — Listen online or download these audio stories. Starfall — Enjoy stories, games, and activities and build reading skills.